An interview with Ray Fisher. 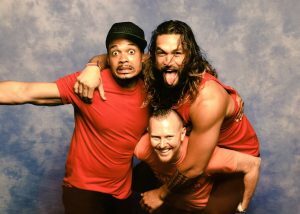 So as you know I have met the wonderful Ray Fisher myself a few times over the last couple of years at various conventions, from London to New York and one thing stood out to me, Ray Fisher loves his fans and makes them feel special and makes sure his fans have an AWESOME time meeting him. 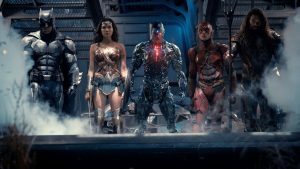 After meeting Ray again at this summers London Film and Comic Con, I got in touch for an interview and Ray and his fantastic Team made it happen for us at DC World. I hope you like what we asked and found out about Ray and like the answers he gave us as he gives fans some insight into what makes him the greatest Actor I have had the pleasure to meet. You started your early life in theatre, what first got you into that and then onto acting in movies? I’ve always been into performance! As a kid, my grandmother used to have my siblings and I would perform for my aunts and uncles on our front porch. We’d sing and dance and tell silly knock-knock jokes—I think that was the beginning of it for me. Once I got into high school, I found a unique sense of community in theatre that I’ve never really felt anywhere else. I caught the acting bug and never looked back. As far as film goes, most of my lifelong friends have been huge cinephiles, even from childhood. I can remember making action movies and wrestling videos on my buddy’s camcorder when we were ten years old. In high school, two of my good friends (who also were in the plays) were taking extracurricular film classes at our local community college and would have me act in them. When we graduated high school, we all ended up in New York City—them for film and me for theatre. I ended up being blessed to be able to act in the projects they would direct in college while I trained in theatre at my conservatory. Things were hectic, but fun! You had to gain 20 pounds of muscle to portray Muhammad Ali in the New York production of Fetch Clay, Make Man, how did you manage to do this and was it life changing for you? I ate just about everything in sight and started working out like a madman! I didn’t know any of the nuances of how to eat or train at the time so I just did what felt right to me. Once we were in rehearsal for the show, I was put together with a great boxing trainer named Michael Olajide Jr. and that was eye-opening. I’ve never experienced such intensity. Even though I was on the training wheels version, it gave me a lot of respect for what boxers have to go through to get (and stay) ready for a fight. 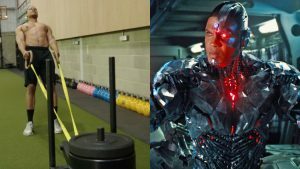 When you got the part as Victor Stone in Batman V Superman, did you know from that moment you would go onto playing Cyborg in the Justice League movie and hopefully soon your own origin story movie. I did know about being a part of Justice League. Zack explained what the overall plan for me was at the time and that there was the potential of a Cyborg standalone down the line. Assuming the story would be grounded and compelling, I’d love to do a solo film. 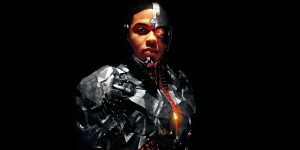 I think Cyborg has the potential for a superhero film unlike any we’ve seen before. If Zack were to ever come back to direct another DC film, he’d be my top pick to direct. Being a Superhero like Cyborg must be amazing, who are you favourite superheroes and villains and would you love to play the part of any of them in the future? Let’s talk comic cons. Now I have met you at a few around the world and always have Epic times to remember. What was it like at the first convention you ever went to and who was with you? My first convention was San Diego ComicCon 2016. It was a really wild to see all the hype and excitement from the fans. 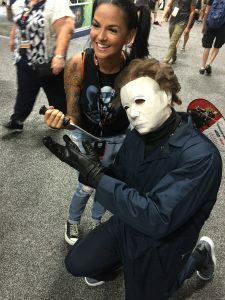 I was there with my buddy Pressly and managed to sneak onto the main floor dressed as Michael Myers from Halloween and stalk all the attendees! You are in appearing in True Detective season 3 as character Freddy Burns. What is your character like and what is it like playing him? I can’t really go into specifics about True Detective right now. Things are very hush-hush so we can keep all the surprises intact. What I CAN say is that there seems to be a little bit of confusion on the internet (surprise, surprise…:))—my character’s name is actually Henry Hays, not Freddy Burns. As an actor is there a certain role you would like to play and are there any actors you would love to act with? I’d like to work on a number of varied roles. If a role I’m considering is too similar to something I’ve already done, then I’ll usually respectfully pass on it. I’d love the opportunity to work with James Earl Jones—I’ve been a huge fans of his for years. Lastly can you tell us, what was the first thing you purchased with your first acting pay cheque? Food! Being a starving artist is definitely a real thing. DC World would like to thank Ray Fisher and his Team for this amazing interview opportunity and wish Ray all the success with his future career, see you around.